Drivers in Michigan were surprised on last week when gas prices did not go up, but rather hit a new low of 47 cents a gallon. Michigan is the first state to sell gasoline for under a $1 in over a decade. Drivers first saw the surprisingly low prices on Sunday, January 17. Industry experts predict that prices at the pump have not bottomed out yet. Rough driving conditions are not stopping people from filling up their tanks in Houghton Lake, Michigan. The town is experiencing high amounts of snow that makes driving conditions harsh. GasBuddy is reporting several stations in Houghton Lake, Michigan with gas prices under $1. Prices were first verified by GasBuddy on January 17 and are continuing to update their prices daily. GasBuddy said, “It appears these stations are currently the first stations in the country to see prices under $1 per gallon in years. As the situation unfolds, it’s possible these stations re-raise prices back over $1/gallon.” Police were called to direct traffic. There was a “gas war” between several gas stations in Houghton Lake. 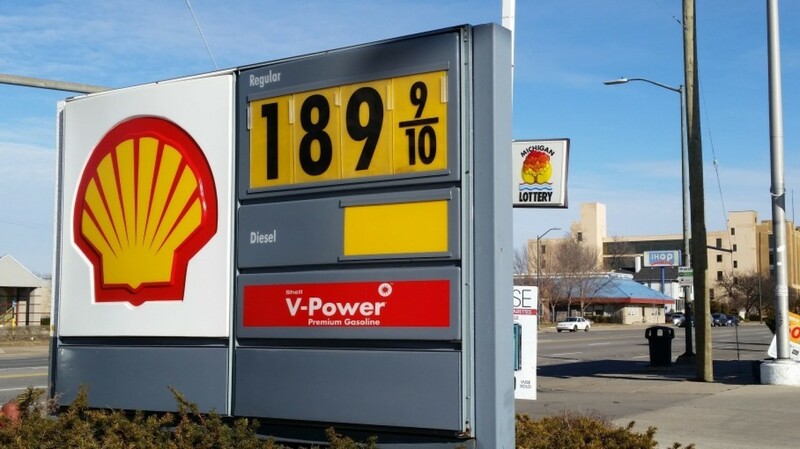 The cost was the result of a price war between three gas stations in Houghton Lake, petroleum analysts at GasBuddy told ABC News. Gas Buddy also added this was likely the first time gas went under $1 a gallon in the United States in more than a decade. Three gas stations are in a gas war. During the 47 cents madness, there were traffic jams to get to the low priced gasoline. Traffic has become so congested that police were called to direct traffic. Cars waited in traffic for an estimated 40 minutes to take advantage of the low gas prices. Smith went on to say that she does not think the prices will stay at under a $1 for long. Stations in the Houghton Lake region have also been engaging in a price war. The phenomenon did not last for long, by Monday the prices were back to normal. Gas prices have been dropping across the country with a single barrel sold for only $30. The national average price of gasoline has dropped 7.6 cents in the past week to $1.89 a gallon, according to GasBuddy.com. That is the lowest price per gallon since March 2009. A month ago the national average was $2 a gallon. That price is down 17 cents from last year’s average price 0f $2.06.